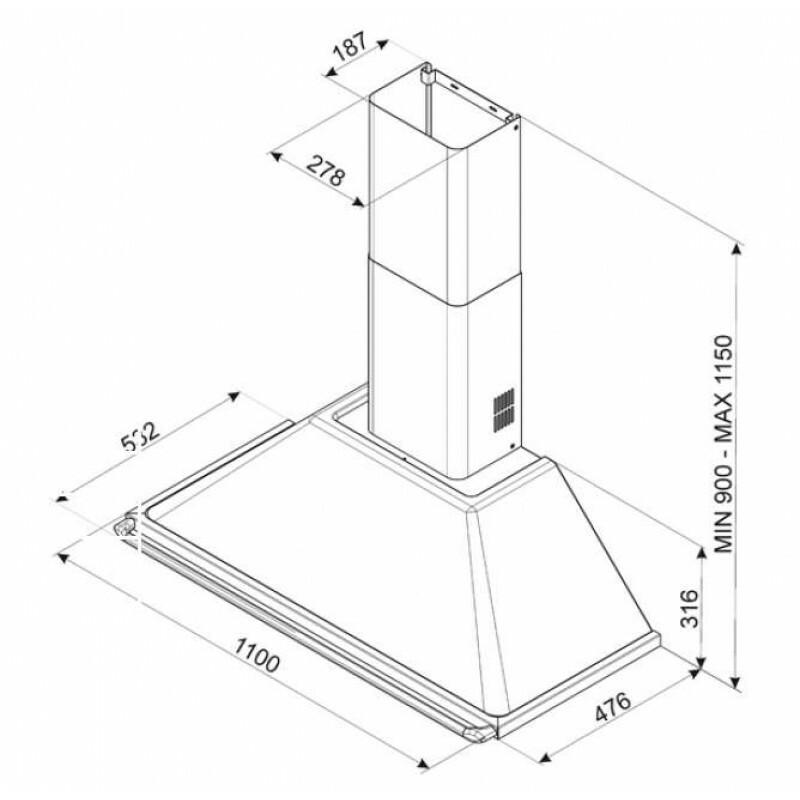 Smeg 110cm Canopy Rangehood KT110AS. The Finest Wallmount Rangehood. 3 x stainless steel grease filters filters.